What’s better than birthday cake on your birthday? Birthday cake on someone else’s birthday, which covers an additional 364 days. 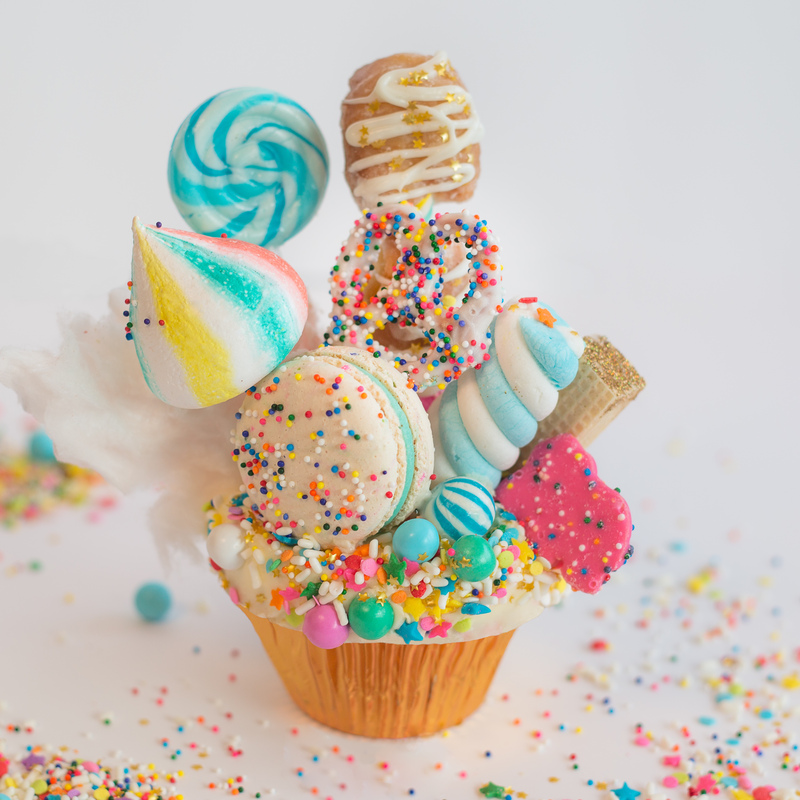 Get your fix this month at Trophy Cupcakes, where owner Jennifer Shea and her team are celebrating 10 years with a ridiculously over-the-top treat: funfetti cake, vanilla buttercream, macaron, lollipop and marshmallow, glittery meringue, white chocolate-dipped pretzel, circus animal cookies, cotton candy, donut holes, blue candies and a custom-mixed sprinkle mix. Whew. And because satisfying your sweet tooth isn’t enough, Shea is playing Willy Wonka and planting a golden ticket in one cupcake each week until the end of February. The winners will each get a year’s worth of Trophy cupcakes and macarons, a signed copy of Shea’s party book, and two tickets to a decorating party with her at the Bravern dessert lounge. Side note: Can anyone else believe that cupcakes have been a thing here for nearly 15 years? Cupcake Royale opened in 2003. Despite all the talk about doughnuts or ice cream or macarons being “the next cupcake,” we haven’t really found a long-term replacement. Now, when are we going to be able to get more decent slices of layer cake?